Is a concise text that gives the reader a briefing on a topical issue. It is aimed at broad audiences. Defence cooperation has become the most important driver of Finnish external affairs. New initiatives are being launched, and ever-more extensive cooperation is binding Finland to the Western security system and its deliberations. 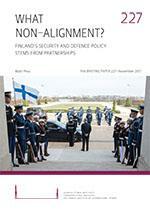 At the same time, the waning of Finnish military non-alignment has further accelerated. Finland has consistently removed the legal impediments that have restricted its room for manoeuvre in security and defence. The paradigm of Finnish NATO cooperation has changed. 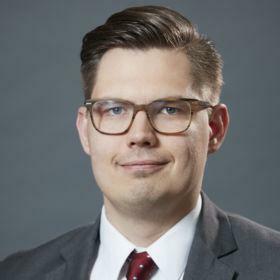 The centre of gravity of the partnership has shifted towards supporting Finnish national defence on the one hand and NATO’s collective defence on the other. When it comes to the EU, Finland is much more willing to see the Union as a security and defence community. The bilateral defence partnership web has also expanded, with the stated purpose of intensifying these partnerships being to improve the chances of receiving crisis-time political or military assistance. It is telling that Finland and Sweden are currently rehearsing territorial defence together. Finnish defence cooperation with the United States is ground-breaking. Helsinki has moved closer to Washington both politically and militarily. Conducting exercises with the military superpower sends a strong strategic signal. Both nations have a mutual interest in Europe in general and in the Baltic Sea region in particular. Deeper defence cooperation: Finland and Sweden together again?